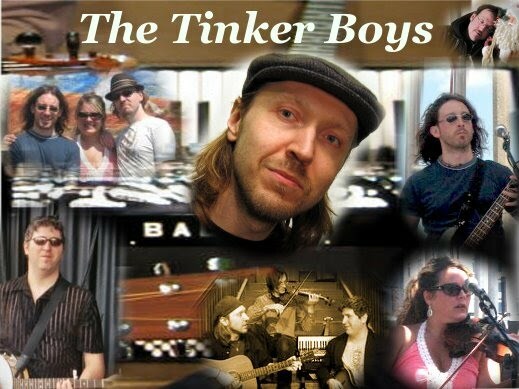 Besides originals, Tinker Boys perform a variety of material from Celtic to modern day folk/rock/country. Covers by artists may include Beatles, CSNY, Rolling Stones, Johnny Cash, CCR, Flogging Molly, Jim Croce, Tom Petty, Zac Brown Band, Goo Goo Dolls, Simon and Garfunkel, White Stripes, Gaelic Storm, The Pogues, The Eagles, and many more. Using elements of vocals, guitar, banjo, fiddle, bouzouki, accordion, mandolin, and harmonica, Tinker Boys are able to find a niche in many types of songs. The group can range from a duo, trio, or more depending on the need of the client and available musicians. Band leader, Michael Tinker Tierney, also performs many solo shows for a more reserved setting. The Tinker Boys appear at pubs, festivals, traditional and non-traditional parties, corporate events, and wedding receptions and ceremonies.